Give your sweetheart a personalized gift that will leave a lasting impression. 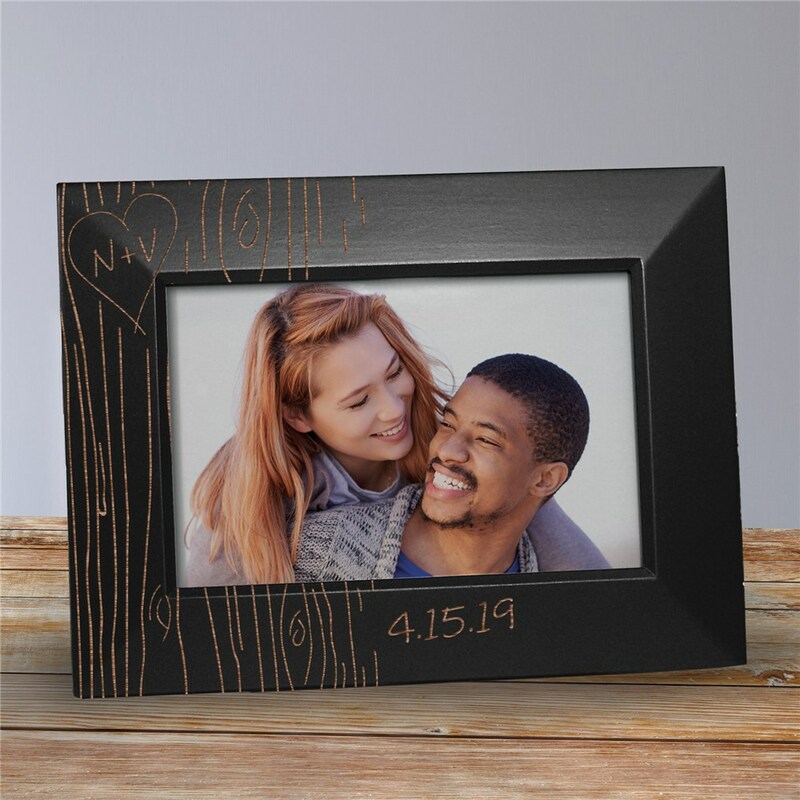 This engraved tree carving black frame, customized with each of your first initials and a date, is more romantic than carving your love into a real tree. Available in two sizes, 4" x 6" and 5" x 7"
Even better than I imagined! I was very happy with this frame. Bought it as a gift for my boyfriend and he loved it! Cutest Picture Frame EVER!! Quality of the frame is amazing! Exactly how I imagined it! LOVE IT!